NV might be sensitive, but the color is so...bland. I only remember two eyepieces, the Collins (which was Gen 3) an the one that was a biocular called the BIPH. Are you sure that it is not the BIPH you are thinking of? I think they were out of business for a while, but the web page is still there, so maybe he is back in business, but I doubt it. The choke with the BIPH is that I think he used a military lens called a Biocular and these are not easy to find used. I have not seen a bioculur on eBay in over a year. I think the BIPH was simply a Biocular eyepiece (a single eyepiece that is big enough that you can use both eyes) that was mounted in a custom hosing to allow it to work with an 18mm image intensifier. I believe that the binocular was from crew served weapons (tank, heavy machine gun) using the old Gen 2 image intensifiers which were 25mm tubes. So, Biocular was simply adapted to work with it. I have not ever seen a 1RPD though and google did not turn up anything so I can't help with info on that. Edited by Eddgie, 16 December 2018 - 10:29 AM. Wouldn’t be the first user to not like NV use. There was a user here a few years back that built his own ABC cascade tube eyepiece and then later bought a pvs-7. Ended up selling the NV stuff and went back to buying bigger scopes with regular eyepieces to see more. you can photo thru center axis or use with 2 eyes - eye relief is about 2 feet! 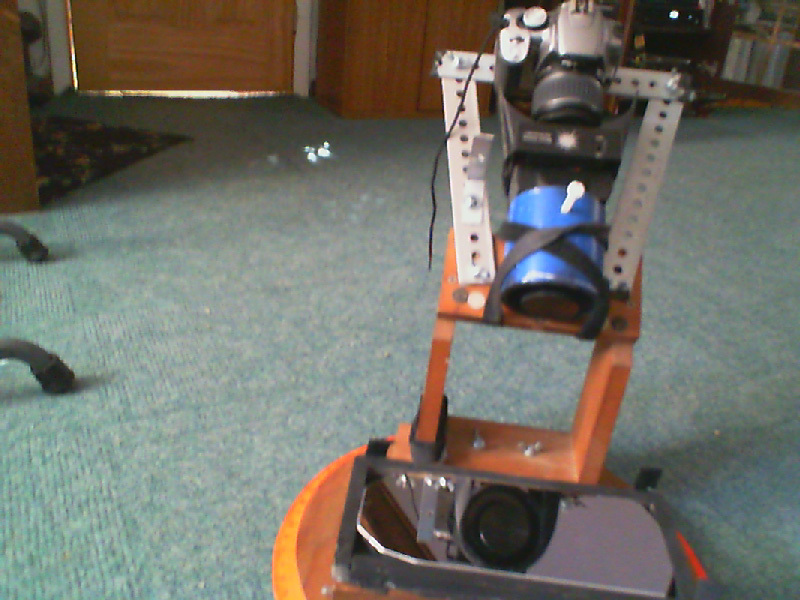 I have one of those Russian panoramic viewers they used on the BiPH. I just need to find a local guy with a 3D printer that could make an adapter for it to fit my AB 25mm housing. Could use one of my gen 3 25mm tubes in it. I have one of those Russian panoramic viewers"
Ended up being the cause of the BiPH disappearing too. One of Doug’s suppliers for those panoramic viewers told me that the supply just dried up. That’s pretty awesome. That’s good service then! 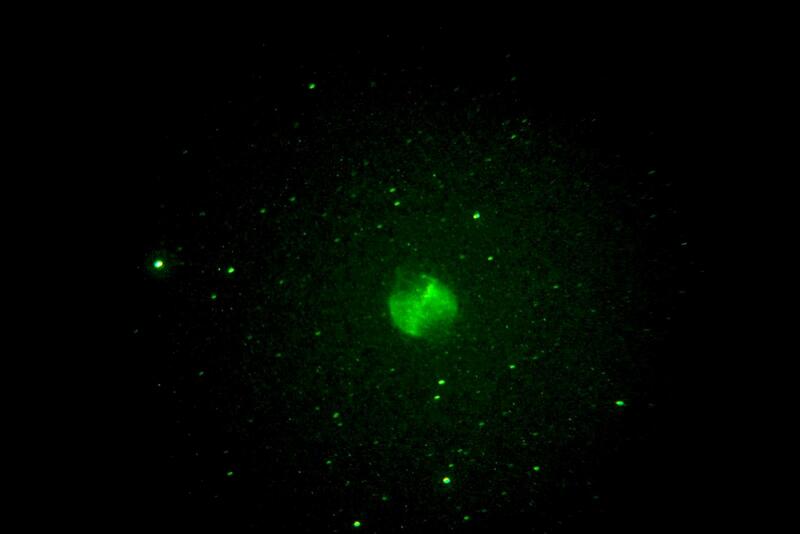 Oh yeah, nother awesome real-time target advantage of Night Vision... Globulars! I chased down myriad globs (near to very remote) one night with this set-up, using both 24mm Panos and my C-mount Gen 3s (equiv ~25mm direct to GaAs photocathode via 1.05x parfocalizing mild custom barlows)... and the NV way outperformed the plain glass eyepieces. As has been commented upon many times, NV eyepieces don't exclude the use of conventional eyepieces. 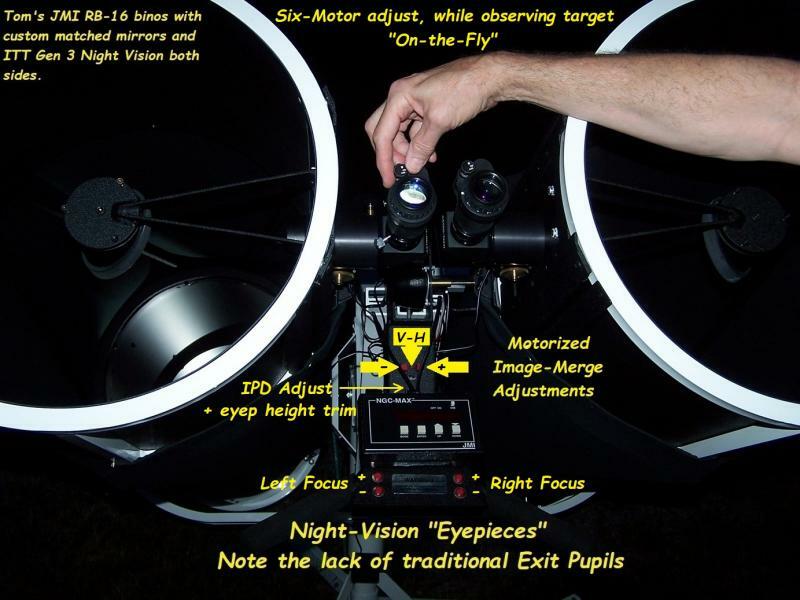 If the observer is looking at a pair of doubles with their NV eyepiece and wants to see the color in them, they can switch to one of their other eyepieces and assuming they can still see the double star, maybe they will see color. While I myself rarely use glass eyepieces anymore, there is absolutely nothing stopping me from doing so. Me? Seeing the faint nebula that M29 sits in would be far more exciting than seeing color in the brighter stars of M29, but here is the reality.. I never saw the colors of the stars in M29 to begin with, so why would it matter that the NV eyepiece is monochromatic. And this is the case with a whole bunch of objects. Yes, there are a lot of doubles that show color, but there are thousand and thousands of objects that don't show any, so the monochrome nature of the view does not mean a big loss of data. I get far more data than I loose.